Personal injury lawyers across the country have been asking people if they've been in a car accident that may have involved Snapchat. Attorneys have set up websites to explain local laws on distracted driving, sent out press releases about Snapchat's potential involvement in certain accidents, and written blog posts about the dangers of the app. At issue are the app's "speed filter" feature that tracks how fast someone is traveling while they take a selfie. Because Snapchat photos and videos disappear after viewing, they demand more concentration, one lawyer argues. "If they are behind the wheel of a car and they want to view a Snapchat picture, 100% of their attention has been removed from the road," California litigation attorney David Azizi writes on his blog. Some lawyers make a more direct plea for potential clients. "If you have been injured by a distracted driver, someone who was texting or playing with Snapchat or other social media apps call us today for a free consultation," writes Steers and Associates, a California firm. "Is Snapchat causing car accident deaths?" Wolff and Wolff Trial Lawyers in St. Louis ask on a dedicated page. Earlier this week, Georgia resident Wentworth Maynard sued Snapchat and a young driver for a car crash that left him with serious brain injuries. The suit alleges that the driver, a young woman, was using Snapchat while she was speeding at over 100 mph because she was using the speed filter feature. While she was distracted, her car crashed into a Mitsubishi that Maynard was driving, according to the complaint. He suffered serious brain trauma as a result. Jay Peavy, a general litigator from Atlanta, is co-consul with one of the Wentworth's attorneys on another case. 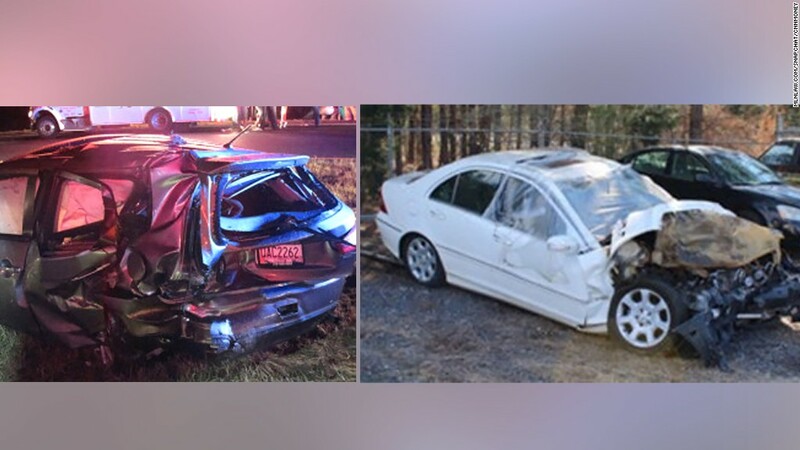 He told CNNMoney on Friday that Clayton County, where the accident took place last year, is a blue collar area where most drivers only have the minimum insurance coverage of $25,000. Peavy suspects that the woman being sued had the minimum liability insurance, which is probably not enough to cover the medical expenses that Wentworth is seeking. "Any good plantiff's lawyers [are] looking to see if they can get good deep pockets," he said. Snapchat is not commenting on the suit, but has issued this statement: "No Snap is more important than someone's safety. We actively discourage our community from using the speed filter while driving, including by displaying a 'Do NOT Snap and Drive' warning message in the app itself." Snapchat isn't the only app that's been targeted by personal injury lawyers for new cases lately. Steers & Associates, for example, also describe ways to deal with accidents involving Uber and Lyft.